The Episode starts with Mohini saying let Prerna stay without her husband, when Anurag and you come back from honeymoon, she will understand that she lost the battle. Komolika says I m impressed. Mohini says its necessary, I will find a way to convince Anurag. Komolika says I trust you, you will fix everything. Mohini asks Nivedita to handle Anupam. Anupam falls down the bed and asks what happened. Nivedita says you were shouting that Anurag loves Prerna, when she said she is his wife, he didn’t say anything, why do you want to become a puppet. She beats him with cushions. She says you have no idea what we planned for Komolika. He says you have no idea what we planned for her. Nivedita asks who we, Prerna? He says you and I. She says in your dreams, I didn’t plan anything. Nivedita comes to wake up Anurag. He asks Prerna. She says Prerna is fine, come, mum needs you. He rushes to Mohini and asks what happened. Mohini acts in front of him. He says I will take you to doctor. She says doctor can heal physical pain, not mental pain, its not easy to end this tension. He says don’t worry. She says I had many dreams for your marriage, everything was so fast and then this problem, I could not even congratulate you, I should forget this, we must have joy in this house, I want you to go on a honeymoon with Komolika, just think how to get rid of this problem, Komolika is so worried, look at her. Anurag thinks this is right chance to get close to Komolika and work out my plan. Komolika thinks he will surely refuse. Mohini asks do you have any objection. He says no, I don’t have any objection, I got to know Prerna was never the right girl, I felt she is a nice girl, she is weak and needs help, it was her ploy to reach me, I know Komolika and my marriage has happened, whatever happened with Prerna was a mistake, it wasn’t a marriage, Komolika you are my wife. Mohini smiles. He says so yes, I have no objection. He holds Komolika’s hand and says I know that our wedding took place in a hurry, we didn’t get time to know each other, I want this honeymoon to be the best, I want to know, would you like to come on honeymoon with me. Komolika smiles and says yes. He says I will make all the arrangements. He goes. Komolika says mom, did you just see this. Nivedita comes and gets happy. She hugs Komolika. Komolika says mom is a genius, he proposed me for a honeymoon, I can’t believe this, thanks mom. She hugs Mohini. Anurag thinks I will be defeating Komolika in her own game, its my turn now. Prerna collides with him. Ishq ki….plays…. He holds her in arms. They recall their moments and have an eyelock. Her thread mangalsutra gets stuck in his kurta button. He frees it and says done. She goes. He says what was I doing, if Komolika has seen me, she would have known that I have feelings for Prerna, I have to keep Prerna away. Prerna thinks how can I fall weak, he is my enemy and I can’t be friendly with him. Anupam asks are you going on honeymoon, wow, why are you smiling. Anurag hugs him and says this was the first step of my plan, I have a plan, I need time, I will tell you once its certain. Anupam asks him to be careful, Komolika may take advantage. Anurag says not anymore, its our turn now. Prerna comes to room. Komolika asks are you shocked. Prerna says no, it was expected that you will copy me, what are you doing here. Komolika argues. She says Anurag and I are going on honeymoon, you did a lot, you tried every possible thing, you don’t consider me weak, I m not very weak, if he loves you, how did he get ready to celebrate wedding night with me, I have booked a hotel room and bed, we will be having fun. Prerna says best of luck for that, if you think you are going to create problems in our relation, you know… Komolika says your relation will be over, Anurag won’t return in your life. Prerna says go and finish the packing, enjoy. Komolika says you are cheap, your mum didn’t teach you not to get after someone’s husband. Prerna says its my right, you are cheap. They continue to argue. Komolika says a husband and a wife have a wedding night, Anurag and I are married. Prerna says your dream of nuptial night will be breaking, I won’t let this happen. Komolika says I never lose any challenge. Prerna says I always win. Komolika says if you win, I will bow down to you, deal. She goes. Anurag says this is your problem, that means my problem, I will help you, this is a war of love. He holds Komolika’s hand and takes her. 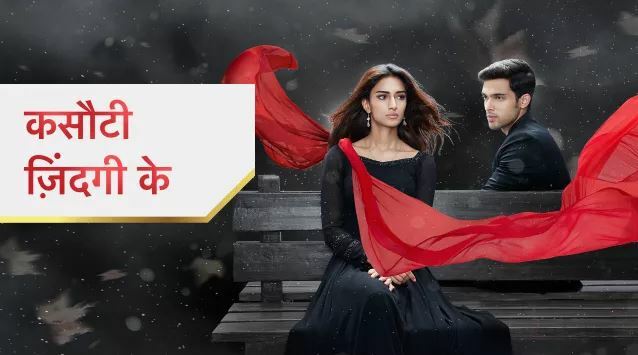 The post Kasautii Zindagii Kay 14th March 2019 Written Episode Update: Anurag agrees for honeymoon appeared first on Telly Updates.